The Voice beat the BBC’s new offering The Greatest Dancer after the two shows launched head-to-head. The Greatest Dancer – a new show with star signings Cheryl, Matthew Morrison and Oti Mabuse – averaged 4.6 million viewers on BBC One. 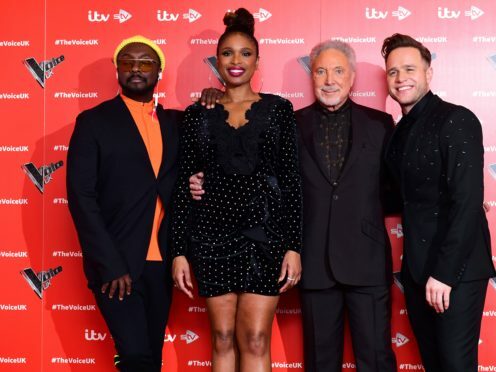 The Voice UK – featuring coaches Olly Murs, Jennifer Hudson, Will.i.am and Sir Tom Jones back in their red chairs – had the edge with 4.8 million viewers on ITV (5.3 million viewers including ITV plus one). The start of the new series of The Voice, a former BBC show before it moved to ITV, was the most-watched programme in the 8pm slot. The Greatest Dancer peaked at 5.2 million (25.3%), while singing competition The Voice reached 6.1 million (30% share), including ITV plus one, overnight figures show. The BBC said that The Greatest Dancer had more viewers than the BBC One shows, such as Wedding Day Winners and Casualty, that went up against The Voice last year and performed well with the 16 to 34-year-old age group. Saturday’s launch episode of The Greatest Dancer, made by Simon Cowell’s production company Syco, saw a freestyle performer with Down’s Syndrome leave Cheryl in tears after his audition.